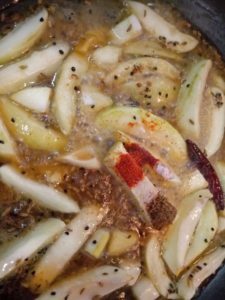 ‘Kairi Ki Meethi Launji’ (Aam ki Launji) is today’s summer special Rajasthani recipe. There are two versions of kairi launji, one is spicy and tangy and the other one is sweet and tangy. This recipe is sweet and tangy. Kairi ki launji is a very popular dish from Rajasthani cuisine. During summer season, this dish is prepared in every Rajasthani household at least once. 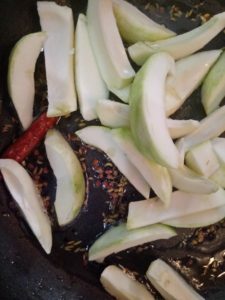 Main ingredients of this recipe are raw mango, few spices, whole red chillies and jaggery. 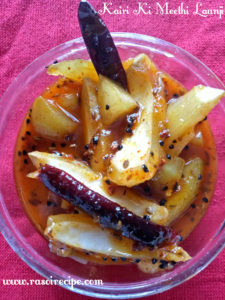 You can serve this dish as a side dish with Dal rice, plain parathas, or with stuffed parathas. 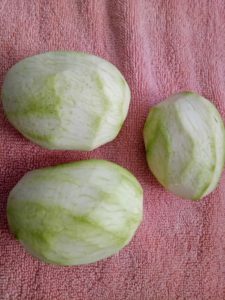 Kairi launji can easily be stored in fridge for two weeks. 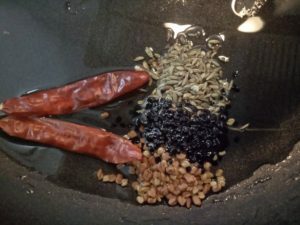 Whole red chilli / साबूत लाल मिर्च 2 nos. 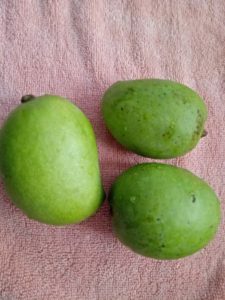 Wash and peel raw mango (kairi). 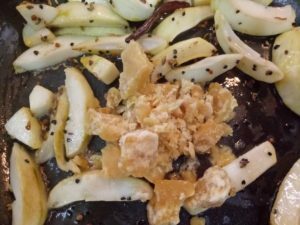 In a large pan, heat oil, add whole red chillies, fenugreek seeds, fennel seeds and Nigella seeds. Saute till seeds start to crackle. 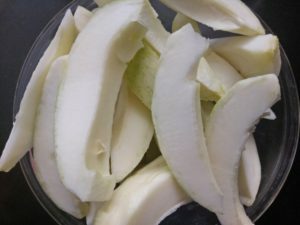 Now add chopped raw mango slices. Cook on high heat for 2-3 mins, continuously stir to prevent mango from sticking to pan. 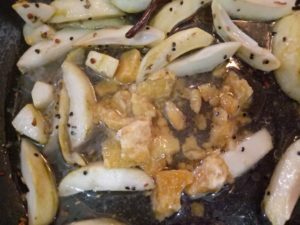 After 2-3 mins, lower the flame and add jaggery. Immediately add water, cook till water starts boiling. When water starts to boil, add all the remaining dry ingredients. Cover and cook till consistency of syrup starts changing from watery to sugar syrup consistency. Let the launji cool, store it in fridge or serve immediately. 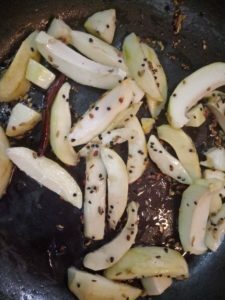 Today only I tried this recipe 🙂 Everything was fine except garam masala quantity, I added too much! !